Retirement is not something we think about unless we are in the last years of finally culminating our profession. And now that you are in that point of your life, where is the most suitable place for you to retire? You cannot settle in if you do not have the finances to do so. You may have the money to provide for your needs and wants but does the place have a positive health care rating and services especially for the older adults? What good does your finances and good health care rating bring if the place you want to retire is not even friendly to your needs? You have worked hard all days of your life. Why not give yourself a break as you retire in a place cradled by Mother Nature? You can go live in a beautiful bungalow by the beach or a house by the mountains. It helps you connect with yourself and the nature around you. It may even be healthier for your overall well-being. Do you want to retire in a place surrounded by nature and animals? Why not retire on a farm? It can give you plenty of things to do. You can look after the animals on your property and tend to your crops because you have all the time in the world. Another bonus is that you can earn extra while enjoying yourself. There is no place like home. Many retirees spend their retirement years in their own abode for a number of reasons. It is easy to receive care. If you plan to retire in your place in Michigan, there are a number of providers of quality In Home Elderly Care Assistance in Southeast Michigan like Heaven Sent Home Support Services. You will be given quality care services at home. We give personalized care by trained care professionals. We also deliver these quality services to your home so you won’t have to go out of your way to receive them. This is the beauty and convenience of our Home Care Services in Oakland Counties Michigan. You don’t have to be far away from your family. You may have enough money to travel the world and live overseas. Technology may have been connecting people living away from home. But nothing beats the joy of living close to the people you love. 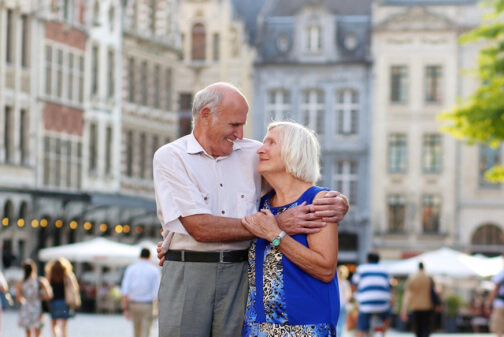 Where do you want to retire and why choose that place? Share your thoughts in the comment section. This entry was posted in Home Care and tagged Healthcare, Retirement, Senior Care. Bookmark the permalink.